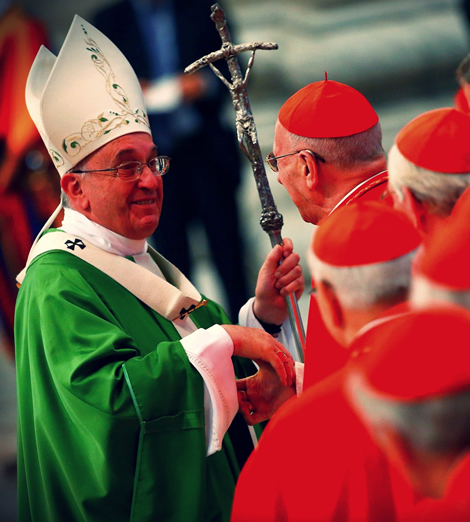 OVER the weekend, Pope Francis added to the Acta Apostolicae Sedis (the record of the papacy’s official acts) a letter he sent to the Bishops of Buenos Aires last year, approving their guidelines for discerning Communion for the divorced and remarried based on their interpretation of the post-synodal document, Amoris Laetitia. But this has served to only further stir muddy waters over the question of whether or not Pope Francis is opening the door for Communion to Catholics who are in an objectively adulterous situation. The reason is that #6 of the Bishops’ guidelines suggests that, when couples have remarried (without an annulment) and do not abstain from sexual relations, the possibility of recourse to the Sacraments may still be possible when ‘there are limitations that mitigate responsibility and culpability.’ The problem lies precisely in how one, who knows that they are in an objective state of mortal sin, with no intention to change that state, can still have recourse to the Sacraments of Reconciliation and the Eucharist. The Bishops’ guidelines provide no concrete examples of such a ‘complex’ situation. The Church down the ages has taught that the divorced and remarried, if in a sexual relationship, cannot receive Communion. You’ll find it in the Church Fathers; in the teaching of Popes St Innocent I (405) and St Zachary (747); in the recent documents of Popes St John Paul II, Benedict XVI and the Congregation for the Doctrine of the Faith. All the teaching of the Church about sin, marriage and the Eucharist would have been understood by those promulgating it to have excluded the sexually-active divorced and remarried from Communion. This has also become part of the Catholic mind: the prohibition is casually referred to by the likes of GK Chesterton and Ronald Knox as Catholic doctrine, and there can’t be much doubt that if you picked a random saint from the history of the Church and asked them what the Church taught, they would tell you the same thing. —Ibid. The Church reaffirms her practice, which is based upon Sacred Scripture, of not admitting to Eucharistic Communion divorced persons who have remarried. They are unable to be admitted thereto from the fact that their state and condition of life objectively contradict that union of love between Christ and the Church which is signified and effected by the Eucharist. Besides this, there is another special pastoral reason: if these people were admitted to the Eucharist, the faithful would be led into error and confusion regarding the Church’s teaching about the indissolubility of marriage. 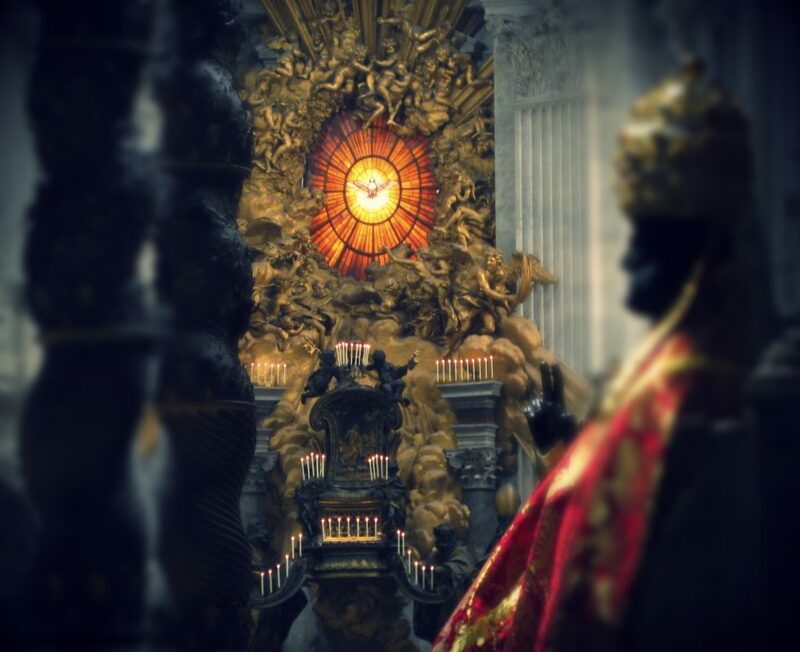 This is all to say that the papacy is not one pope…. THE papacy of Pope Francis is one that has been dogged from nearly the beginning with controversy after controversy. The Catholic world—in fact, the world at large—is not used to the style of the man who presently holds the keys of the Kingdom. 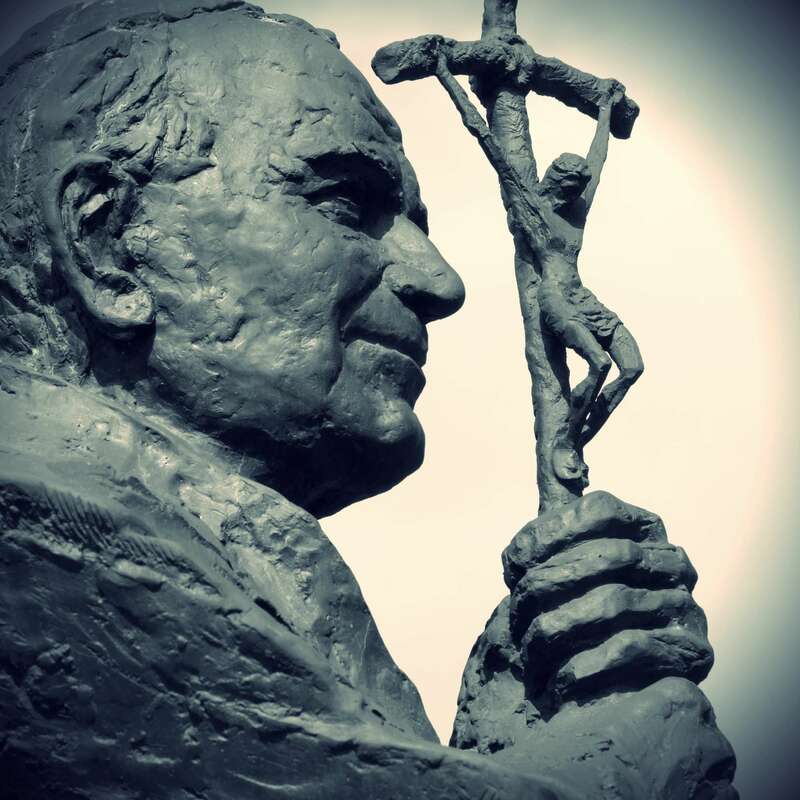 Pope John Paul II was no different in his desire to be with and among the people, touching them, sharing their meals, and lingering in their presence. But the papal saint was also very precise whenever he addressed matters pertaining to “faith and morals”, as was Benedict XVI. For the papacy is not one pope. 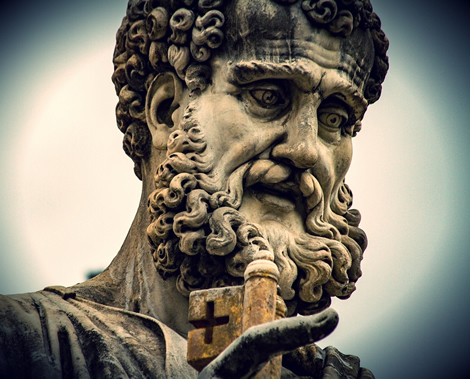 It is the voice of Peter throughout the centuries. But Peter died, while the Kingdom did not. And so, the “office” of Peter was handed on to another, as were the offices of all the Apostles after their deaths. That is to say that not even a pope can change what has been derived from the “deposit of faith”, revealed in Christ, and handed on through apostolic succession to this present day. 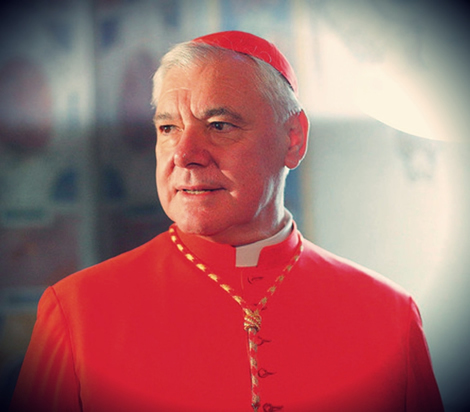 Cardinal Gerhard Müller is Prefect for the Congregation for the Doctrine of the Faith (note: since this was written, he has been removed from this position). He is the Vatican’s doctrinal chief, a kind of gatekeeper and enforcer of the Church’s doctrine to help individual churches maintain orthodoxy and the unity of faith. In a recent interview underscoring the immutable nature of the Sacrament of Marriage and all its implications, he stated…. This is why you will see, particularly in papal documents of previous centuries, the popes addressing the faithful in the pronoun “we” rather than “I”. For they are speaking, also, in the voice of their predecessors. Since the interpretation or definition of doctrine is “co-extensive with the deposit of faith”, the Second Vatican Council taught that, among the roles of bishops of which “preaching the Gospel has pride and place” in order to “inform [the faithful’s] thinking and direct their conduct”, they are to watch over those in their care and “ward off whatever errors threaten their flock.” cf. Vatican Council II, Lumen Gentium, n. 25 This is really a call for every Catholic to be a servant and faithful steward of God’s Word. It is a call to humility and submission to Jesus who is the “Prince of shepherds” and “supreme cornerstone” of the Church. cf. Vatican Council II, Lumen Gentium, n. 6, 19 And this also includes submission to the pastoral practices of the Church that are intrinsically linked to doctrine. But watch out too for those who are sowing dissension against Pope Francis. There are many good intentioned “conservative” Catholics who have taken almost a default position of viewing anything Francis says under a pall of suspicion (see The Spirit of Suspicion). This is dangerous, especially when it is carelessly published. It is one thing to raise concerns in a spirit of charity with the desire to achieve deeper understanding and clarity. It is another to simply criticize under a veil of sarcasm and cynicism. 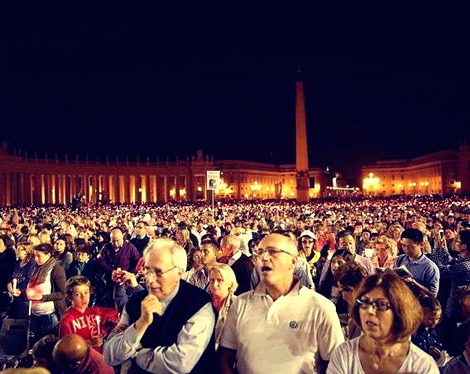 If the Pope is sowing confusion by his words as some allege, than many are also sowing discord by a constant negative approach to the Holy Father. For all his personal faults or sins, Pope Francis remains the Vicar of Christ. 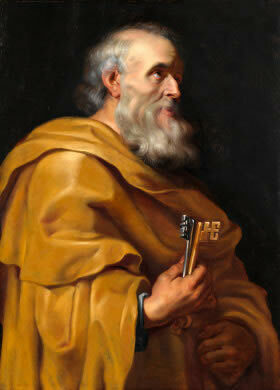 He holds the keys of the Kingdom—and not a single Cardinal who elected him has suggested otherwise (that the papal election was invalid). If something he says is uncertain to you, or even seems to be contrary to Church teaching, do not quickly assume that to be the case (I have already in the past provided exhaustive examples of how the mainstream media has misquoted or re-framed the pontiff’s words). Also, reject the temptation to immediately spout your frustration on Facebook, in comments, or on a forum. Rather, keep silent and ask the Holy Spirit to give you clarity before speaking. And pray for the Holy Father. I think it is rather signficant that there is not a single credible prophecy in Scripture or from Our Lady that says, someday, the office of Peter should not be trusted. Rather, she calls us to pray for the Pope and all our shepherds and to remain in steadfast unity, while still upholding and defending the truth. And that is relatively easy to do since the truth has been passed on, not by a single pope, but through the one office of the papacy, the Chair of Peter, and those bishops in communion with him… in 2000 years of unbroken written and oral Tradition.